Although the ketogenic diet tends to be high in saturated fat, it has been found to optimize cholesterol levels and reduce the risk of heart disease. In a recent meta-analysis published in the British Journal of Nutrition, for example, researchers investigated the impacts of very-low-carbohydrate ketogenic diets (VLCKD) on key metrics of cardiovascular health including HDL cholesterol. The authors concluded that carbohydrate-restricted diets confer cardiovascular benefits because they improve levels of HDL (“the good cholesterol”) in the body. To further optimize your LDL cholesterol levels, consider adopting a diet high in healthy monounsaturated fats, omega 3s, and low-carb vegetables. Some examples of keto-friendly foods that are high in monounsaturated fats are olive oil, avocado, and macadamia nuts, and keto foods that are high in omega 3s are wild-caught sardines and salmon. If this is a bit confusing for you, please take a couple of minutes to read through our article on the ketogenic diet and cholesterol. 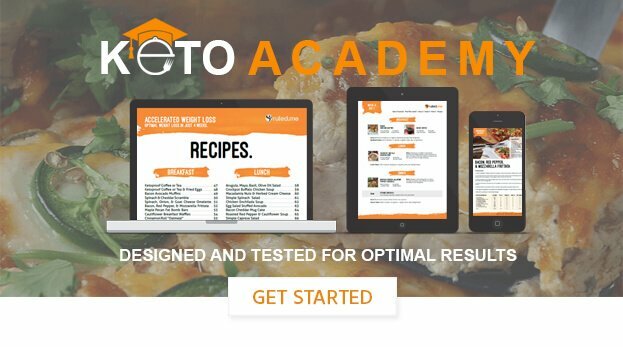 It will provide you with all the info you need to understand cholesterol and find out if the keto diet works for you.